Please print this FREE how-to and share with your friends. 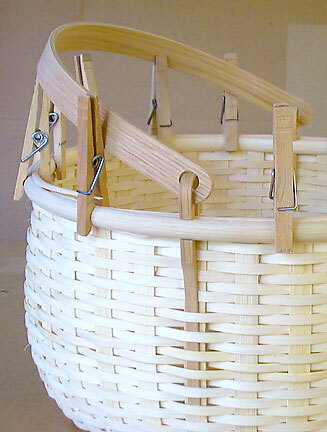 Putting runners on a basket is very easy but it does require some woodworking experience. 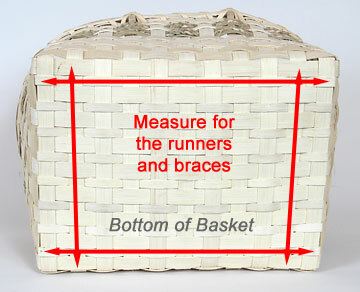 Runners not only add value to your basket but they give it extra support and help protect the basket's bottom. Do it yourself or ask a friend with woodworking tools to help. 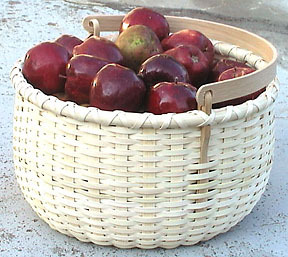 This how-to pattern is based on the Basket for Janice Free Pattern. Materials needed: Scrap wood and 4 wood screws. Tools needed: Measuring Tape, Pencil, Hand Saw, Hand Drill, Sandpaper and Screwdriver. Measure the length and width of your basket's bottom. The runners and braces will be about an inch shorter than these lengths. 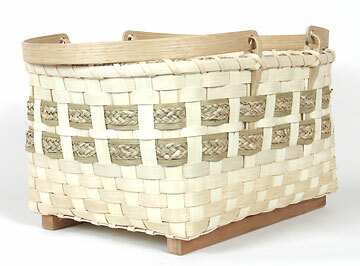 For example: If your basket's bottom is 23" long then make your runners 22" long. 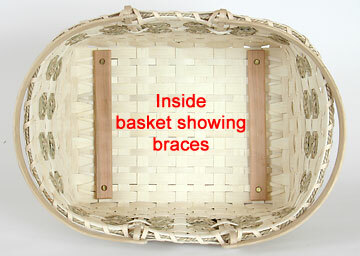 The runners will be the long pieces on the bottom of the basket and the shorter braces will be used inside the basket. Note: The arrows also show the positions of the runners and braces. 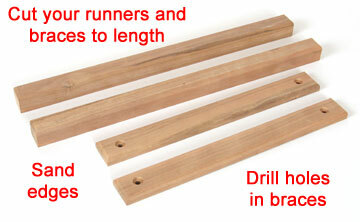 Runners are 3/4" x 3/4" square and cut to the desired length. Braces are 3/4" wide and 3/8" thick and cut to the desired length. The dimensions of the parts are approximate and should be changed to fit your basket. Using a router or belt sander round over the outside edges and sand smooth. 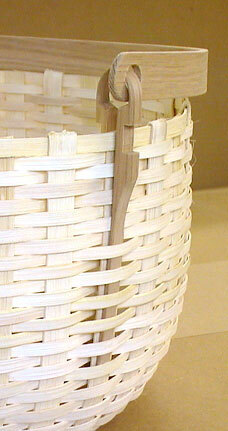 The edges that touch the basket should be hand sanded only. If you do not have a router or belt sander just hand sand the parts so they are smooth. If you wish to apply a finish to your runners and braces now is the time. Determine the location of holes in the braces (see photo), drill and countersink. Drill the hole slightly larger than the shank of your screw; the countersink should be slightly larger than the head of your screw and just deep enough to allow the head of the screw to be below the surface of the brace. Note:Use a screw that is long enough to secure the braces to the runners but not so long as to show on the bottom of the runner. A 1 1/4" wood screw will work with the above dimensions. I used a brass screw as I didn't want the screw to rust later and stain the basket. Position braces inside the basket and mark the location of each hole on the basket's bottom. 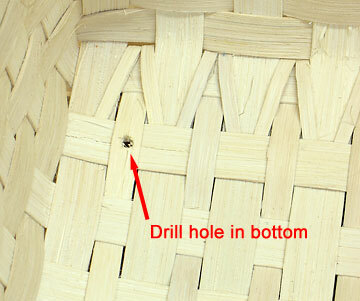 Place the basket on a scrap piece of wood when drilling to minimize tear-out. 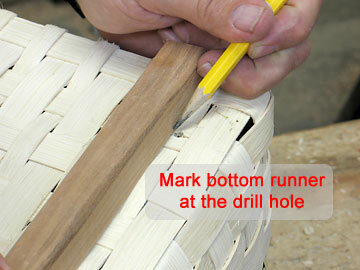 Drill through your basket bottom at the pencil marks. This hole should be the same size as the smaller hole in the brace. The reed will split but this should not be a problem because the bottom will be sandwiched between the runner and brace. Position the runner on your basket bottom and mark the location of the pilot hole. 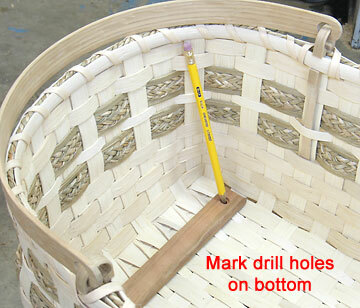 Using your pencil mark as a guide, drill pilot holes in the runner on the side that will touch the basket bottom. The depth of the hole should be less than the thickness of the runner. 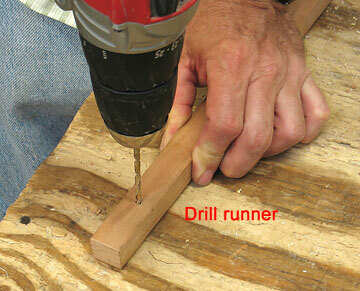 If you do drill all the way through the runner just fill the hole with putty when the project is completed. The pilot holes should be slightly smaller than the shank of your screw. Drilling pilot holes helps prevent your wood from splitting. 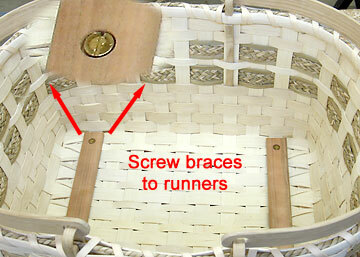 Position your runners on the bottom of your basket and the braces inside the basket then screw them together. Hint: Putting a little bees wax or bar soap on your screws prior to driving will lubricate the screw and make your job easier. 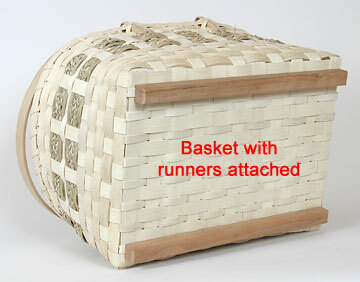 Photo shows bottom of basket with runners attached. Now your basket is ready for some heavy duty use.